“Beat the Heat” with Knoxville Mom’s Blog and Einstein Bros! Join us at 10 AM on August 5 at McFee Park for the BEAT THE HEAT SPLASH PAD PARTY! 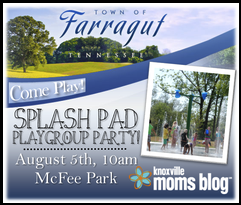 Hosted by the Town of Farragut and the Knoxville Mom’s Blog, it’s a chance for moms new to the community to meet other moms, as well as their families. We’ll be at the pavilion with free food, frisbees and drink coozies for all, so be sure to bring the whole family and Beat the Heat! 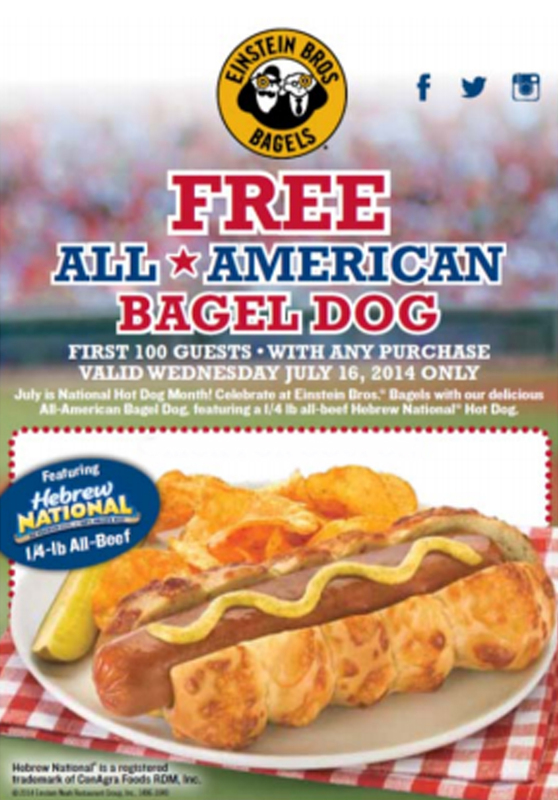 FREE All-American Bagel Dog Day is Wednesday, July 16! *Offer valid July 16, 2014. Cannot be combined with other offers. Must present post to receive discount. Only good for first 100 customers. Discount cannot be applied to Bagel Dog w/ side or combo.